Today I made Arrozcaldo. 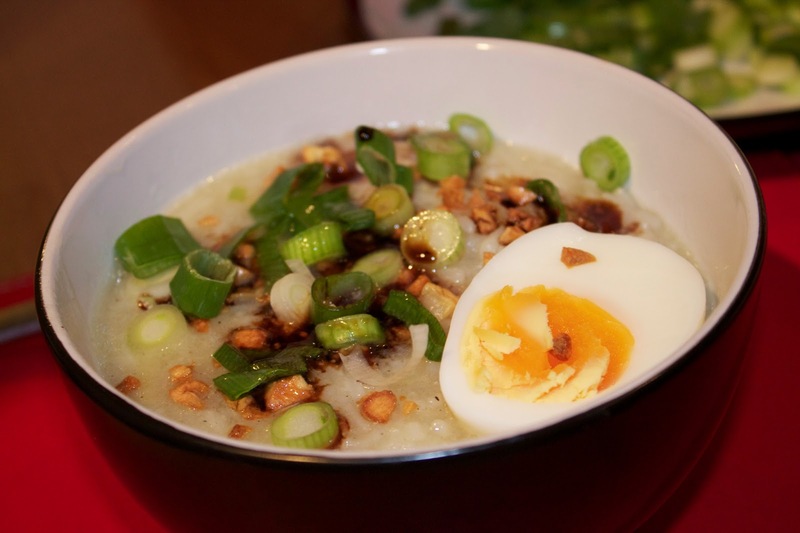 Rice soup. It is a dish I have been craving for ages. Usually my mum cooked it when I wasn’t well or when it was a cold winters day. 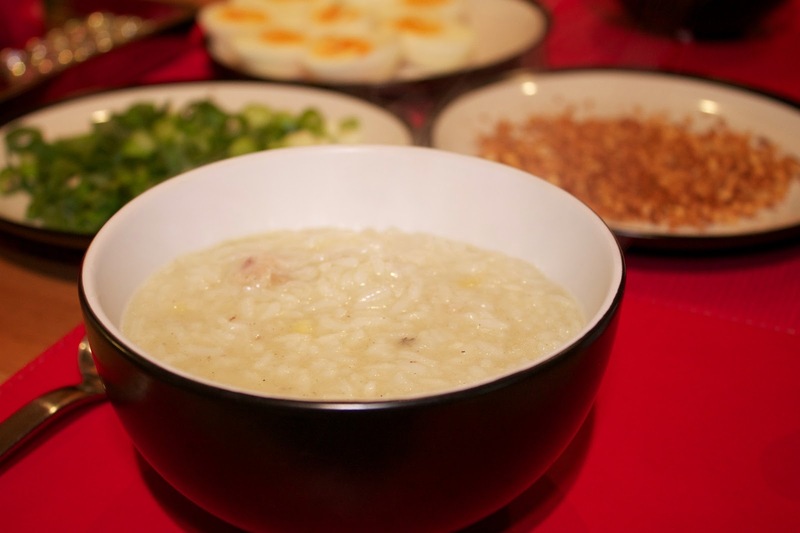 It is a filling soup based dish which is made of rice and any meat- usually chicken. A very simple dish to prepare and make. And you can make it too. In a large pot add come olive oil. Sauté the onions, garlic and ginger. When these are cooked add the chicken thighs and brown the meat. After 5 -10 min add both rice and stir. Add enough chicken stock to the pot to cover the chicken pieces. Season well and stir. Check the pot every 5 mins and stir so that the rice does not stick to the bottom of the pot. Add more chicken stock as needed. After about 20 min the mixture should look a bit gooey. Make sure that the arrozcaldo is not thick. If it is just add more chicken stock. Your dish should be cooked. 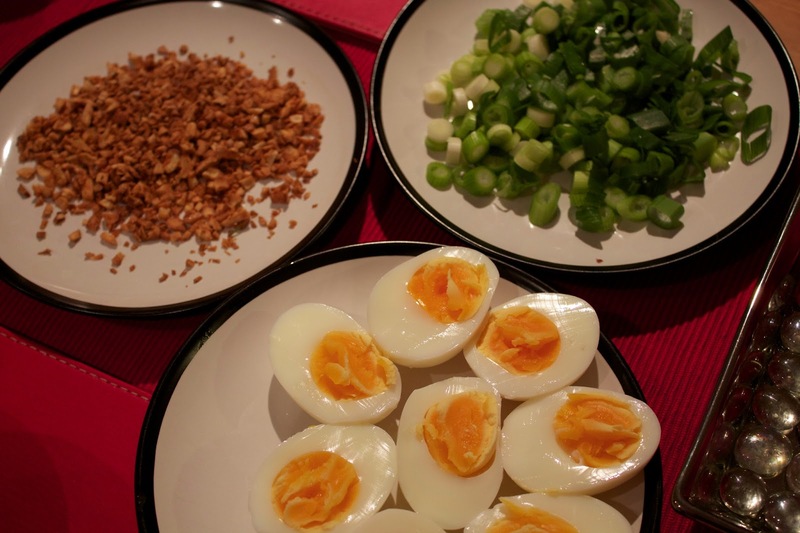 Serve in a bowl and add soy sauce, lemon, sautéed garlic, spring onions and boiled egg as garnish. This entry was posted in Recipes, Rice, Uncategorized and tagged Uncategorized by Justina. Bookmark the permalink.